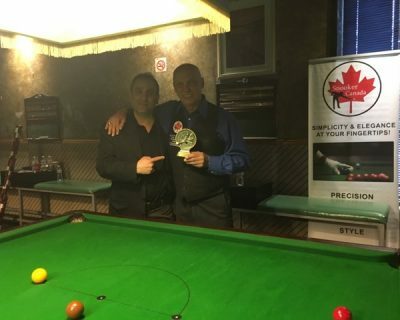 Congratulations to multiple Canadian Champion Floyd Ziegler who has added more hardware to his collection, winning the inaugural Canadian Snooker Shoot-Out. 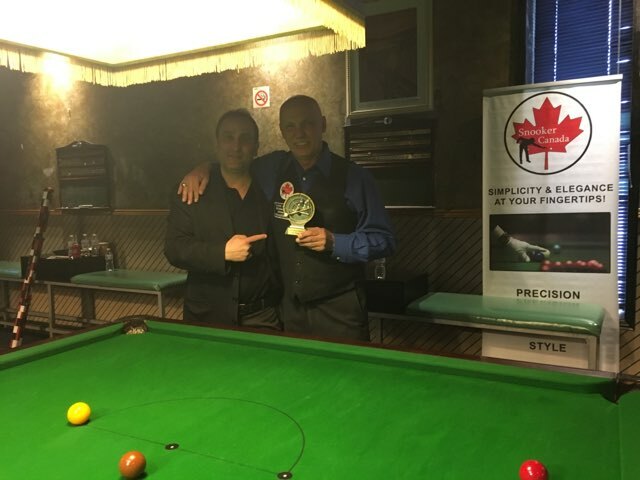 It was Ziegler who prevailed in the end against Cheukyin Kwan in an exciting final, where Floyd became somewhat of a potting machine and entertained the cheering crowd. We were also spoiled by the presence of 2 legendary snooker referees. Bob Hargrove from New Brunswick and Michaela Tabb from Scotland. This tournament will become an annual event and there is already talk of this becoming a televised event in the future. A big thank you goes out to all the volunteers, without you, this event could not happen and you will each be thanked personally. Unless someone has ever been involved in organizing an event of this magnitude, it would be very difficult to understand what is involved in executing all the details.